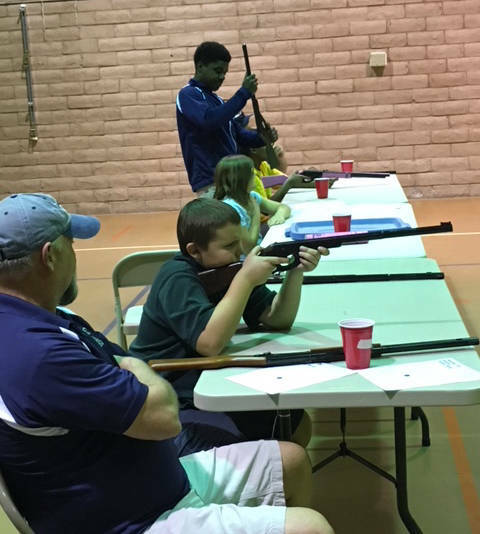 The Boulder City Parks and Recreation Department held its annual Turkey Shoot on Nov. 14 and 15 at the recreation center. 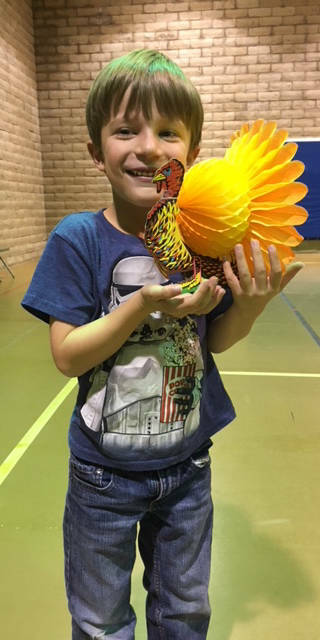 Kelly Lehr Mack Burke came in first place in the first- and second-grade age division of the Boulder City Parks and Recreation Department's annual Turkey Shoot held Nov. 14 and 15. Kelly Lehr Coming in first place in the junior high school age division of the Boulder City Parks and Recreation Department's annual Turkey Shoot held Nov. 14 and 15 was Haley West. Kelly Lehr Anthony Armstrong, seated in front, takes aim as he competes in the Boulder City Parks and Recreation Department's annual Turkey Shoot held Nov. 14 and 15. He came in first place in the third- through fifth-grade age division. Winners were: 55 and older: Debbie Barth; adult: Scott Hinson; high school: Austin Byers; junior high school: Haley West; third through fifth grade: Anthony Armstrong; and first and second grade: Mack Burke.